The next Sigma Force thriller is coming and it's not going to be later than you think. 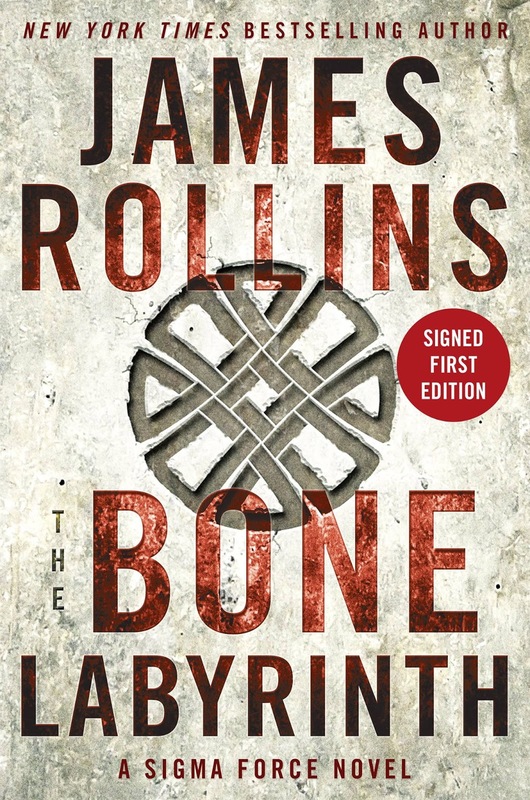 James Rollins will be releasing The Bone Labyrinth just in time for Christmas, if you are lacking any gift ideas. And ant only that... any die hard fan should be happy to hear of what I am about to say! Signed first editions will be available for purchase. This is especially great news to any fan, who doesn't have the power to personally meet the author and have his or her copy signed -- maybe if you are living on the other side of the world. A fact that applies to yours truly as well. Yay! Check out the cover of The Bone Labyrinth: A Sigma Force Novel by James Rollins. But will it mark a new chapter in our development... or our extinction? The Bone Labyrinth: A Sigma Force Novel by James Rollins will hit book stores on December 15, 2015.